No matter what way you slice it, divorce is tough. But there are a lot of things that people say they wish they would have known going in but didn’t. Here are 5 things that may shock you about divorce. People often see divorce as the light at the end of the tunnel, but in most cases, it’s not. After a divorce, many people admit that they aren’t actually any happier. The exception is when a spouse leaves a marriage wrought with domestic violence. A marriage that ends is almost like a death and you will grieve it in similar ways. This is normal. Although sometimes it feels like you won’t make it, in time you will. Be prepared for grief, but know it won’t last forever. Surprisingly, many divorced couples end up getting back together. Whether it’s shortly after the divorce or years down the road, a shocking number of people who no longer wanted to be married to each other end up right back with their ex-spouse. If you’ve been considering divorce but haven’t been through counseling yet, don’t knock it until you try it. It may seem like the problems in your marriage are impossible to overcome, but many couples find that counseling is effective and they either no longer need a divorce or are able to divorce in a more amicable way than had they not attended counseling. So your divorce is imminent and you’re going through the process, only to find out that the biggest concern your spouse has is money. In some cases, this is true even when couples share children together. Be wary of a spouse whose primary focus is on the financial aspect of the divorce — they may end up being brutal and pursuing litigation to ensure that you don’t receive what is fair. 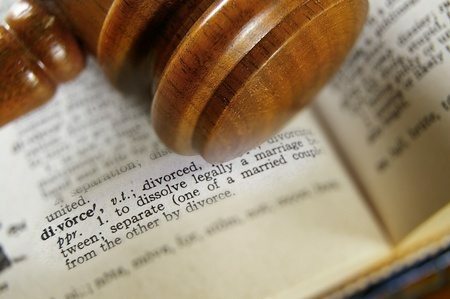 Rita T. Jerejian is an experienced Hackensack divorce lawyer and can help you explore all of your options relating to legal separation and divorce. Whether you’re ready to pull the trigger or simply need advice on what your next step should be, Attorney Jerejian can help. Call today for a consultation at 201.489.7714.